I'm a proud owner of a recently purchased '06 A3 w/ a 6spd MT. Love this car, so much more fun to drive than my last car (My dad's '09 Lexus ES350... a very comfortable meat mover, but not a driver's car). Unfortunately I had an encounter with a curb not more than a month after I got the car. Had to replace a fan motor as a a result, and ended up taking a chunk out of a coolant hose which developed a pinhole leak. I've since wrapped the hose in silicone tape which has stopped the leak, but is most likely not a durable solution. I've tried in vain to identify this hose using diagrams. 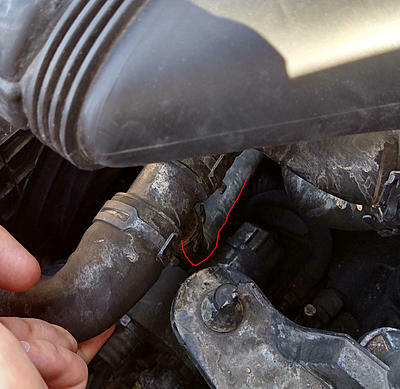 I believe this hose runs to a thermostat unit underneath the engine? Not sure. It's an offshoot from a larger hose, and runs down behind the driver-side fan. Photos are attached. Would love if you could tell me what this is, and bonus points for a part #. Thanks in advance for the help. Glad to be here! Last edited by zoomies; 07-02-2017 at 11:54 AM. Worst case trace the hose and use the diagram supplied in the link to identify which exact hose you need. 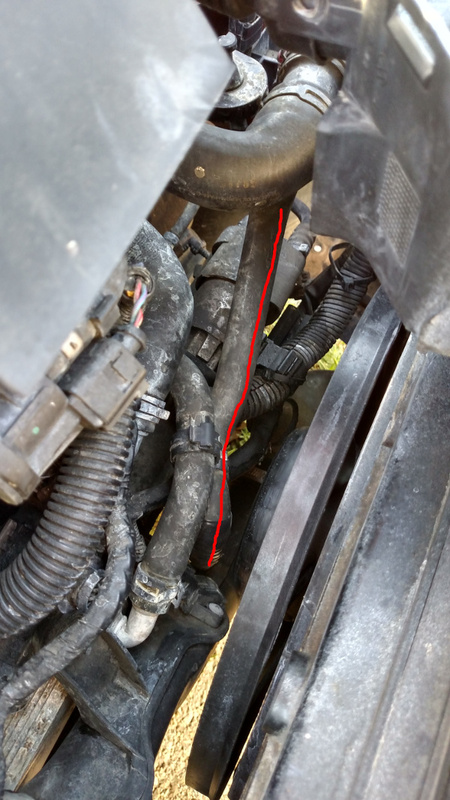 Vacuum hose leak after P1136 "Too Lean" code—How do I get to the hose? Quick Reply: Which hose is this?